Zip, Ziggety, Whirl, Pop, Screech, Sizzle Thursday! 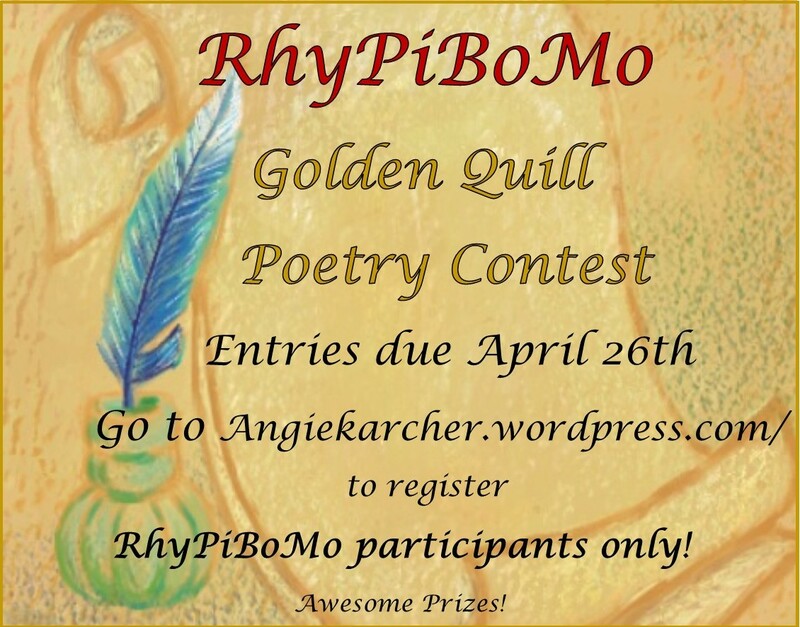 You may only submit one poem for this contest. Please paste your poem in the body of your email and submit it by using the comment form for the contest entry. You must follow all the requirements for the contest or it will be disqualified. I must have your first and last name. I have received several poems already and am looking forward to reading more. Thanks to our esteemed judges Renee La Tulippe, Jill Esbaum, Tiffany Strelitz Haber! 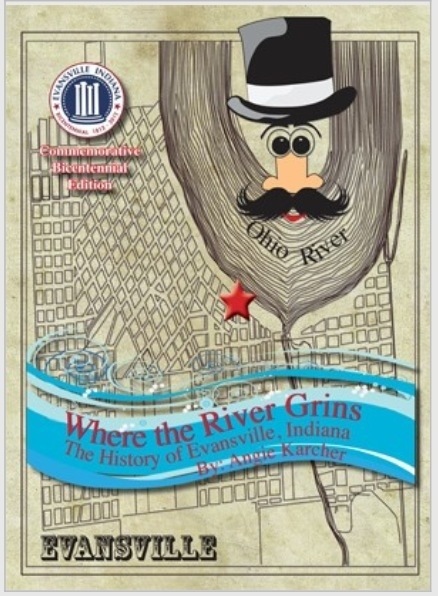 I was fortunate enough to meet today’s guest blogger at a SCBWI luncheon for Indiana authors last fall. 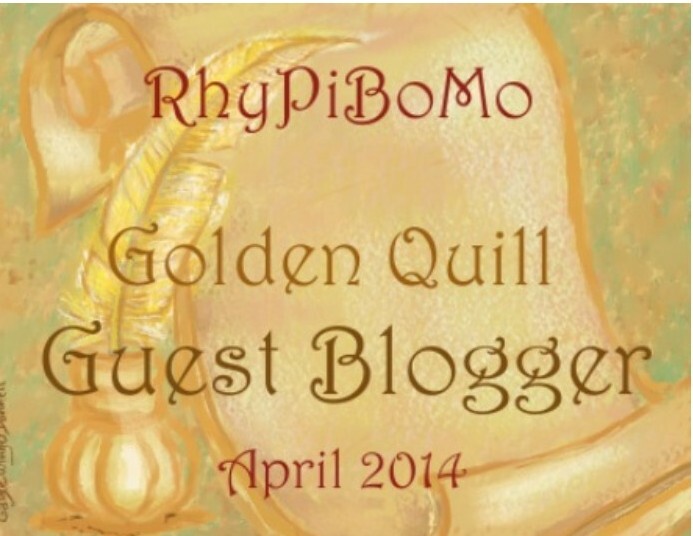 I had just begun my search for RhyPiBoMo guest bloggers and she graciously agreed to join the list. 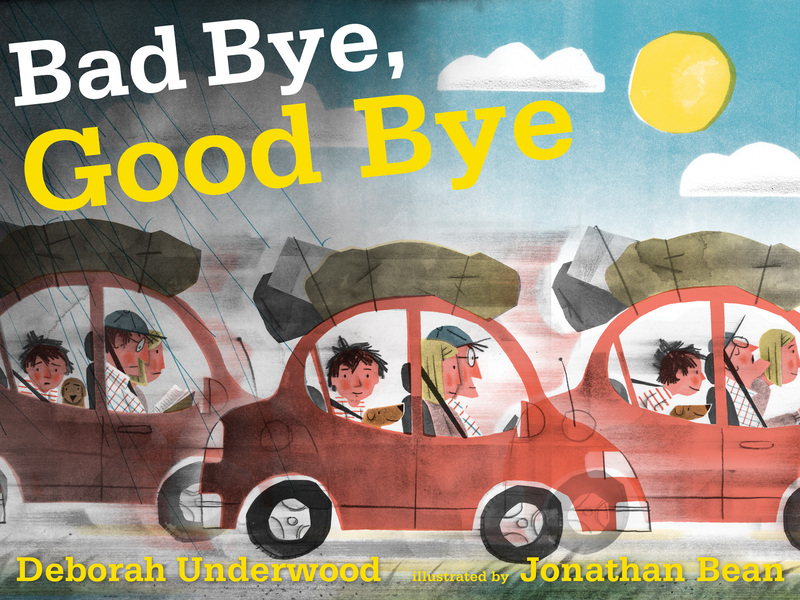 She has access to the latest and greatest of children’s books and I’m honored that she is sharing an interview she did with Deborah Underwood, another RhyPiBoMo guest blogger, about her new book BAD BYE, GOOD BYE. It was completely coincidental that Deborah and Betsy were scheduled to blog the same week so we will get to hear more about this wonderful book and about Deborah’s creative process. Betsy Bird: First off, I absolutely adore Bad Bye, Good Bye. One of my favorite books of the year thus far. My question to you is what the impetus was to write it in the first place? Deborah Underwood: Oh, thank you so much! I don’t remember the precise moment the story idea formed. I think I was just playing around with words, as I often do, and I liked the sound of “bad bye.” The idea of a moving story evolved organically from that. I scribbled down eight words and a few other snippets, including the ending. Then I stuck it in my idea folder, where it languished for a long time. Often I sift through the folder in desperation when I have a critique group meeting coming up and nothing to bring, and I’m pretty sure that’s what happened here. BB: Were you familiar with the work of illustrator Jonathan Bean before he was paired with this project or was it just an entirely lovely surprise? DU: He was new to me back then, but given that my genius editor Kate O’Sullivan chose him, I knew he’d be amazing. Of course I immediately looked him up and fell in love with his work, especially One Starry Night. 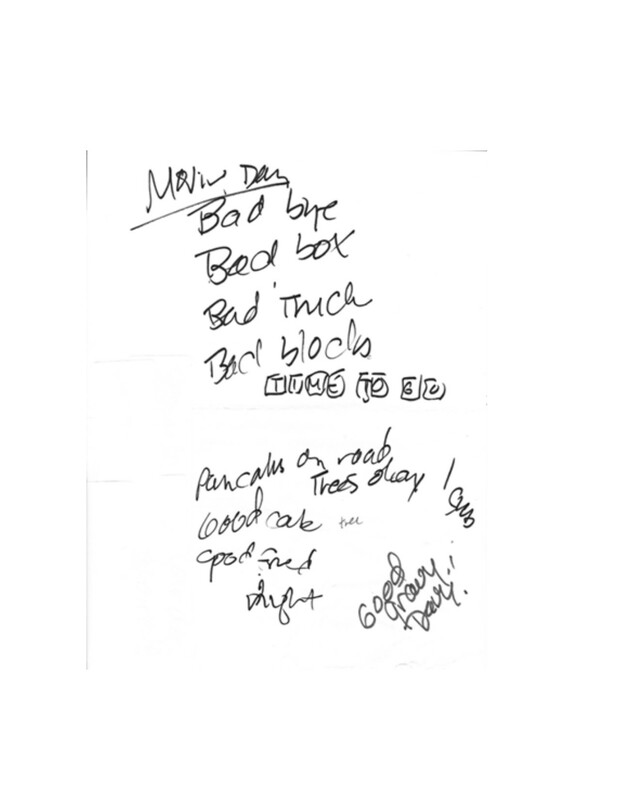 And seeing his initial sketches for Bad Bye was another lovely surprise, because the style he used for this book was so different. He perfectly captures what it feels like to move: all those moments in time frozen and sometimes overlapping. The illustrations are just stunning. And I was profoundly impressed by his decision to go in this direction. Breaking away from what people might expect requires courage, and I love it when I see other creative people forging new territory; it really inspires me. BB: Rhyming picture books that aren’t awful are hard, to say the least. At their worst that sound like poor Dr. Seuss imitations. At their best they’re sublime. Your book falls into the latter category. Why did you want to make it rhyme at all? DU: It just started coming to me in rhyme. And truly, whenever a book starts coming to me in rhyme, there is a part of me that shrieks, “No no no no no no no!” and mentally reaches for an icepack and some Tylenol and a whole lot of chocolate and possibly whiskey. Because writing rhyme is so hard, and I know I’m in for weeks of pacing around my apartment muttering to myself and lunging for my Oxford Rhyming Dictionary. There is nothing like the misery of seeing a page with a few decent lines of rhyme at the top and the bottom and a whole lot of empty space in the middle where the rest of the story somehow has to materialize. But there’s also nothing like the satisfaction of having completed a rhyming manuscript that works. It’s like a combination of writing and doing a really difficult crossword puzzle. BB: Was there ever a temptation to make this a long and wordy book or was it always as incredibly simple as it stands right now? DU: Nope; the staccato rhythm and spare text was a fundamental part of the story to me. And I liked the challenge of telling a satisfying story in 80 words. When I started writing picture books in 2001, the conventional wisdom was that you needed to keep them under 1,000 words; times have changed! 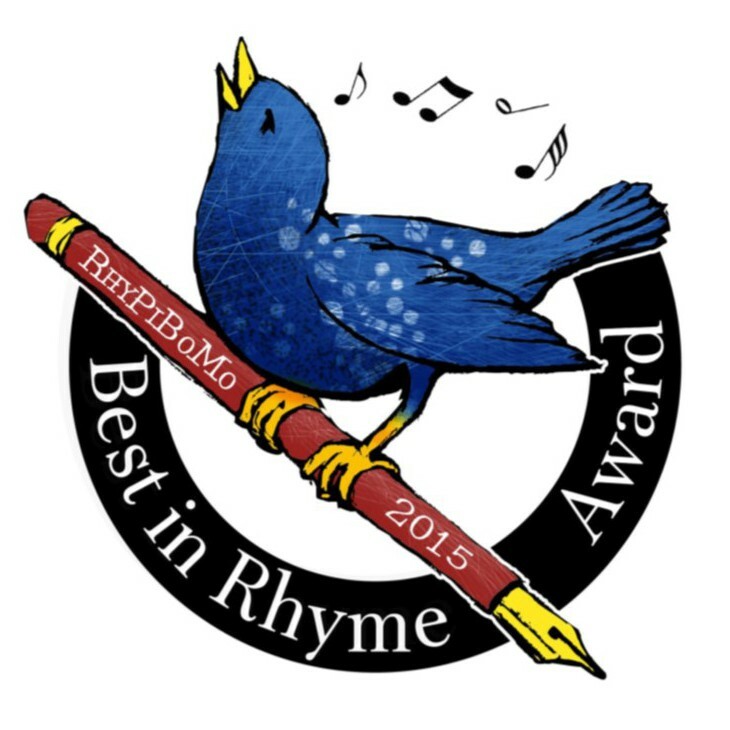 BB: Are you new to rhyming picture books or is this old hat for you? DU: I’ve written a number over the years, but this was the first one to sell. I’m happy to say that two others are under contract: Interstellar Cinderella (Chronicle, 2015) and Goodnight, Baddies (Beach Lane, 2016). BB: What was the editorial process like? Did you sit down with your editor and scrupulously consider and reconsider every sparse word, or is this pretty much what you handed in at the start? DU: Astonishingly, I think what was published is what I initially turned in! I did plenty of revising beforehand, of course. And there were several things that Kate and I revisited in the editing process. But after playing with alternatives and bouncing ideas back and forth, we went back to the original. I remember struggling because I liked the idea of “pancakes” as one of the lines. I loved the possibility of having a scene in a diner, because when I was a kid, eating breakfast out was so novel and great–I mean, pitchers of syrup! different flavors!! But having a two-syllable word would have broken the pattern of two one-syllable words per line, so we ultimately left it alone. BB: So, what are you working on next? 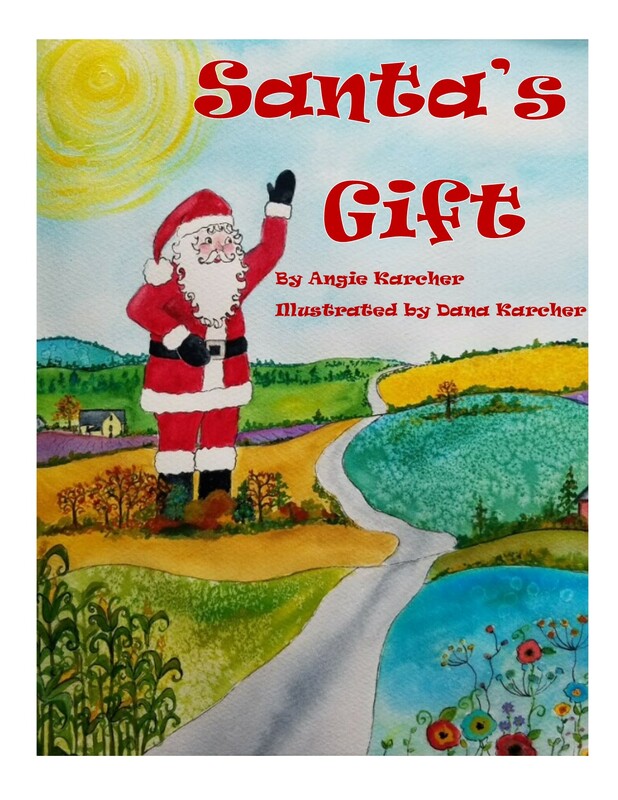 DU: I’m working on the third Cat book–Here Comes Santa Cat! 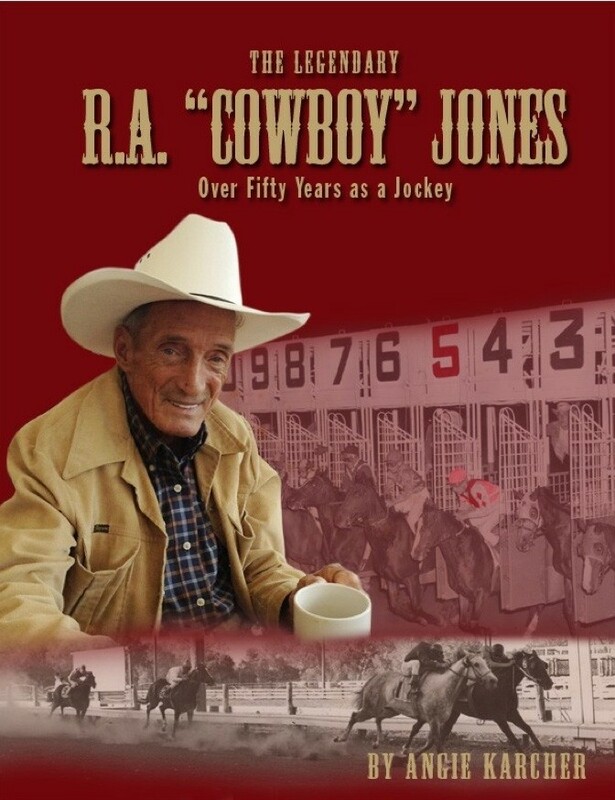 publishes this fall and is all wrapped up, but book three will be out next year. I’m flirting with the idea of getting back to my middle-grade novel. 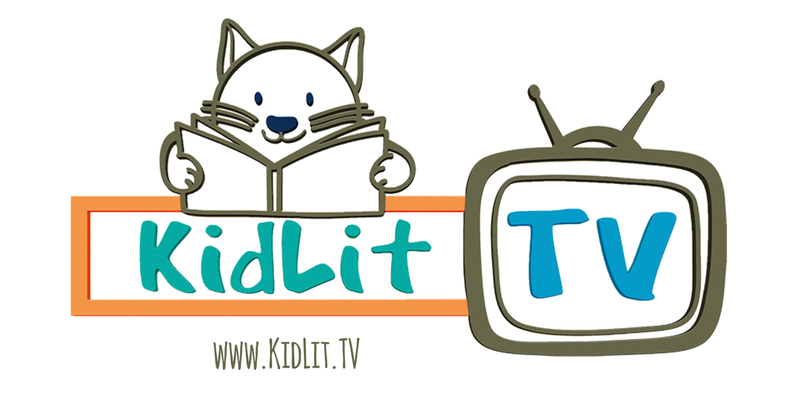 I’m doing work for a few educational publishers. And I need to dig through my idea folder and start something new! 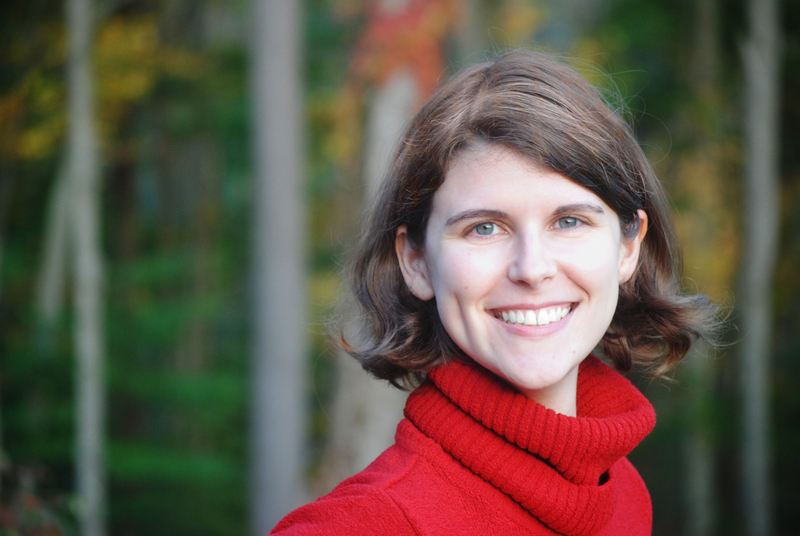 Betsy Bird is currently New York Public Library’s Youth Materials Collections Specialist. She has served on Newbery, written for Horn Book, and has done other lovely little things that she’d love to tell you about but that she’s sure you’d find more interesting to hear of in person. 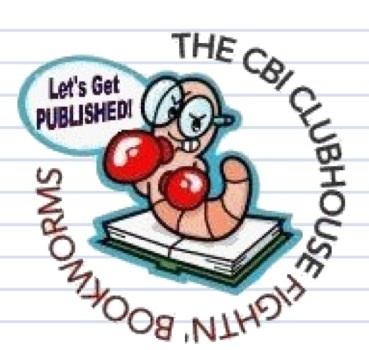 Betsy is the creator of the School Library Journal blog A Fuse #8 Production. 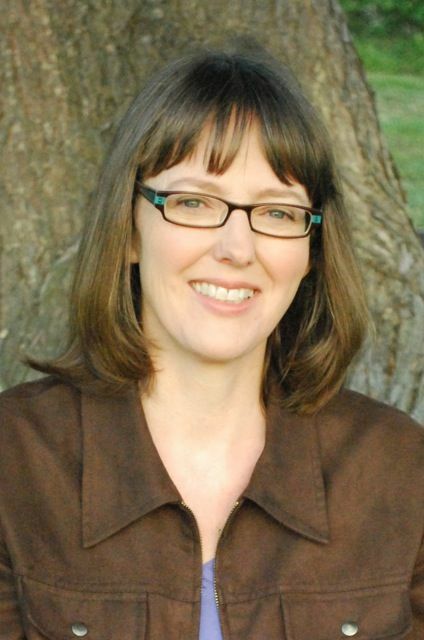 She is also the author of the (not rhyming) picture book Giant Dance Party and co-author with fellow bloggers Jules Danielson and Peter Sieruta of the upcoming Wild Things: Acts of Mischief in Children’s Literature, coming out with Candlewick in August 2014. Follow her on Twitter: @fuseeight. 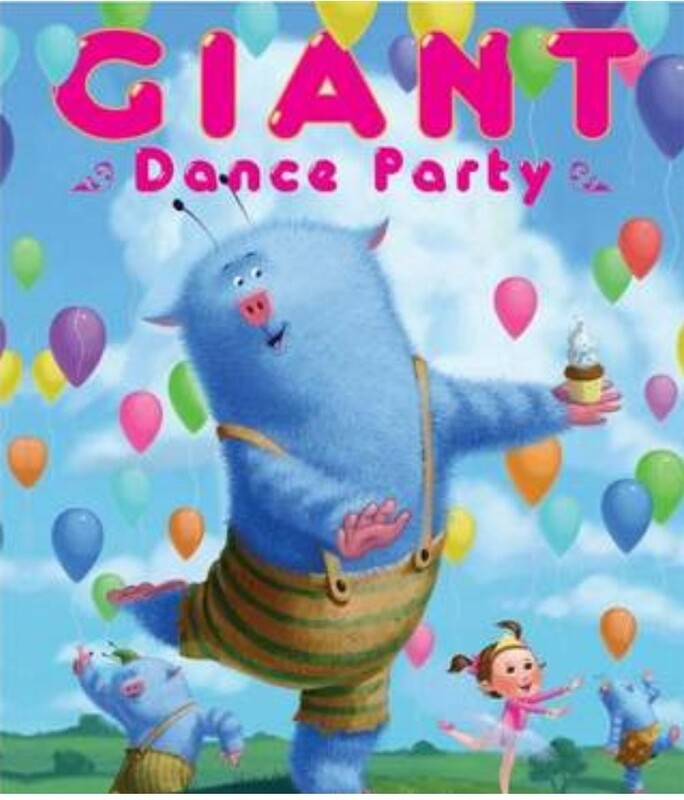 Check out Betsy’s debut picture book Giant Dance Party! Consonance is often confused with assonance and alliteration. These three poetic devices are the building blocks of verse. The differences are slight but the effects are similar in their powerful ability to grab a reader. Consonance is one of the most common techniques used by writers. It adds a cadence to most sentences and can also be used to emphasize the importance of certain words in a poem. In this line, the repetitive use of ‘p’, ‘tt’ and ‘r’ gives a unique rhythm to it, thereby enhancing its rhythmic appeal. One genre of contemporary poetry that has many examples of consonance is hip-hop music. In this example, there is a repetition of the sound ile, and ays. Sometimes the initial and final consonant sounds are repeated. This is an adorable poem by Kenn Nesbitt titled That Explains It! and it’s an awesome example of how consonance can really embellish a poem! Don’t cry, I was only joking! Writing Prompt: Write a poem using all three poetic devices; Consonance, Assonance and Onomatopoeia. 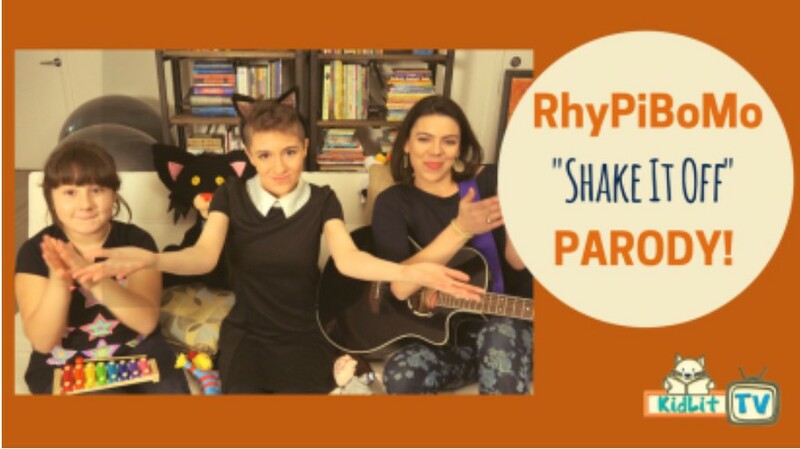 ← Wild, Wild Wednesday Where Repetition and Alliteration Win! Today’s lesson was a fun one! Thanks! Another great lesson. Keep ’em comin’! Great tools defined. I especially like that you not only define these but you give examples. I’ve heard onomatopoeia tossed around but I was still fuzzy on what words fit the definition. Thank you for the examples. Onomatopoeia is my favorite word of all, Suzy! I can’t wait to read Bad Bye, Good Bye. Wonderful interview–Bad Bye, Good Bye is on my to-read list. And great examples, Angie. I’ll be trying to fix these lessons in my brain so that some mild work of poetry will fall out. I was talking about my stories with my husband the other day and we were talking about adverbs. I don’t use them all the time but when I do, I have a tendency to use “suddenly.” Finally, I said we should just use sudden type Onomatopoeia instead. For example: Sha-BLAM the phone rang. I love looking at the sound words you had listed. I love using these poetic devices. They make writing so fun! Thanks, Angie. Great to hear about Deborah Underwood’s process. Thanks for the interview, Betsy Bird! Great post – loved the interview, and I learned something about consonance I didn’t know before! Thanks, Angie! I see you are ‘getting down with the kids now Angie’ Thank you to Betsy Bird for her interesting blog. What fun today’s lesson was!! Love hearing about Betsy’s process. And thanks Angie for some more poetic devices to add to our PB writing toolbox! I love using those poetic devices, especially Onomatopoeia. 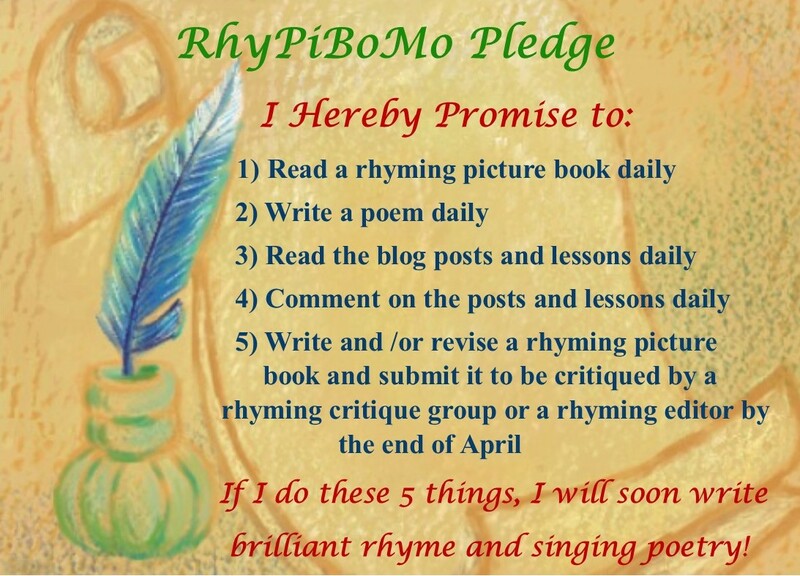 Poetic devices are so much fun… and so is RhyPiBoMo! 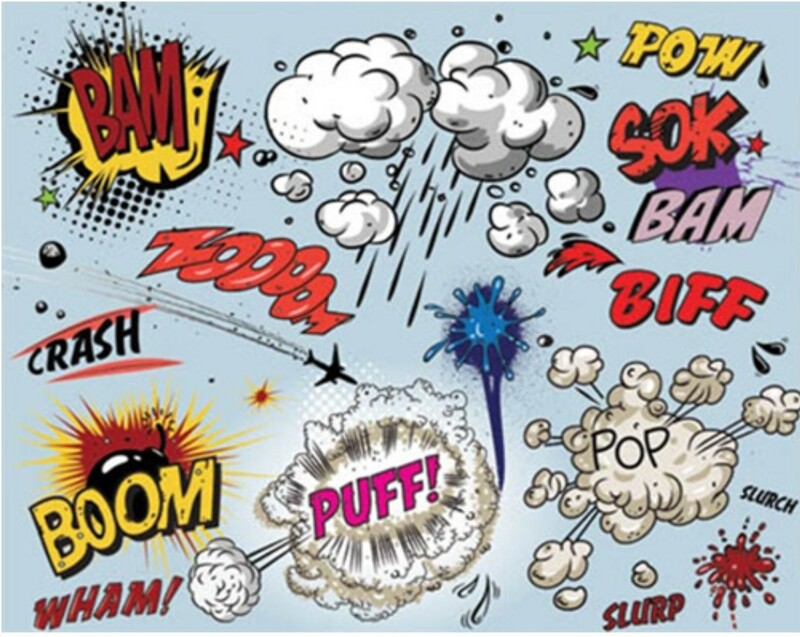 I love using onomatopoeia, as well as saying onomatopoeia! Great lesson! That was a tall order getting all three elements into one poem. Thanks for the exercise. Onomatopoeia is so fun! I’m working on a few pieces utilizing this device. I’ll see if I can intertwine some assonance and consonance as well! I was moved by the Langston Hughes poem to music. I listened to it, hoping to soak up some of his lyrical genius. 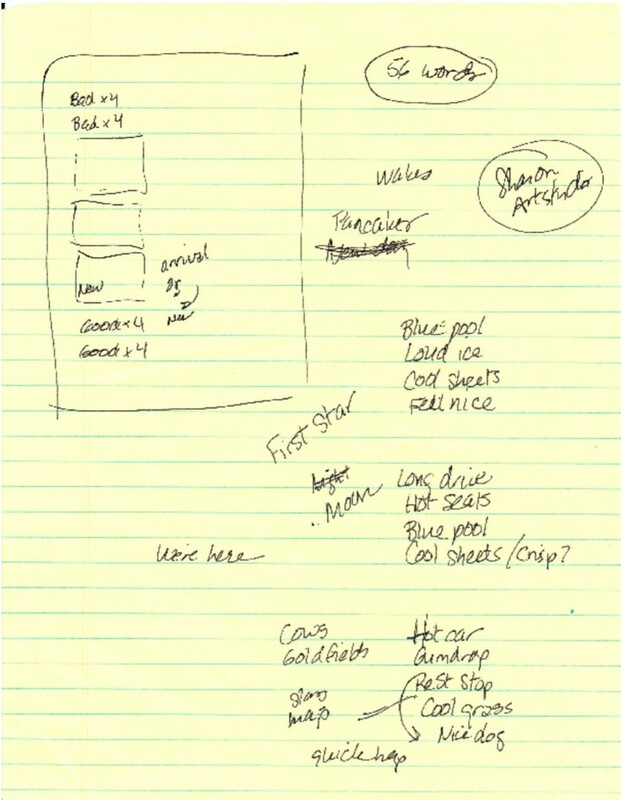 What a treat to see Deborah’s notes…an absolute treat! I think Onomatopoeias are key in children’s books. I love them but they are hard!! Thanks for the post!!! I’ll need to read and reread this post! Thanks! I found consonance the most difficult. Thanks Betsy and Angie. Giant Dance Party looks fun – I need to find it! Onomatopoeia is fun. Consonance and assonance require a bit more work.